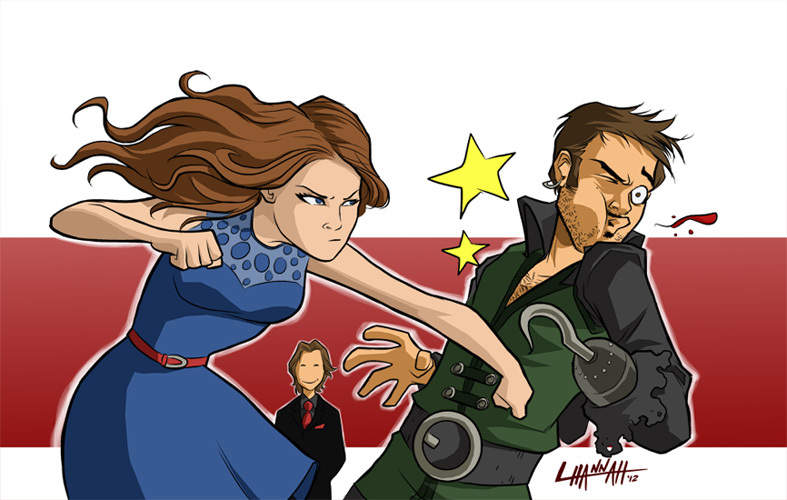 Belle & Captain Hook. . HD Wallpaper and background images in the Once Upon A Time club tagged: once upon a time season 2 captain hook killian jones belle mr. gold. This Once Upon A Time fan art contains anime, grappig boek, manga, cartoon, and stripboek.